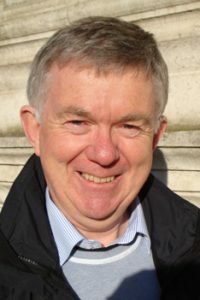 Paul Halton joined the Irish Meteorological Service (Met Éireann) in 1972. He worked in different areas including Synoptic Meteorology, Climatology, Weather Forecasting and Information Technology. In 1987 he joined the application development area of the IT Division working on a wide range of technical projects that included in-house development of a self-briefing application for airline pilots using Irish airports. He also played a leading role in two rainfall radar installation and enhancement projects. In 1992 he received an M.Sc. in Computer Applications Development from Dublin City University – specialising in the use of parallel algorithms to run NWP models on massively parallel platforms. In 1999 he was appointed Senior Meteorologist and became Head of Information Technology and served as a member of the Met Éireann Management Committee until he retired in 2012. He was responsible for a wide range of infrastructural projects across the organisation including the development of a new synoptic observation data collection platform incorporating a newly built in-house automatic weather station which was successfully deployed countrywide as part of The Unified Climate & Synoptic Observing Network (TUSON) Project. Paul Halton represented Met Éireann as Computing and Security representative at ECMWF and he was a member of the ECMWF Technical Advisory Committee (TAC). In the period 1999-2011 he represented Ireland as principal delegate at the bi-annual meetings of the World Meteorological Organisation (WMO) Commission for Basic Systems (CBS). 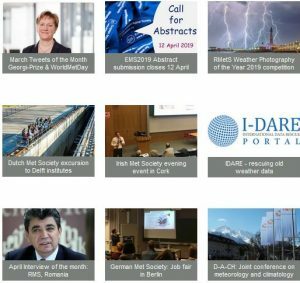 Paul has been a member of the Irish Meteorological Society (IMS) committee for many years: serving as IMS President during 2011-2016 and as Chairman of the IMS Local Organising Committee in preparation for the EMS2017 conference held in Dublin in September 2017. He has represented IMS on the EMS Council for two periods and the EMS Programme and Science Committee in the lead up to and following the EMS2017 Conference.